2 Sinners, turn; why will ye die? God, your Saviour, asks you why; God Who did your souls retrieve, Died Himself that ye might live: Will you let Him die in vain? Crucify your Lord again? 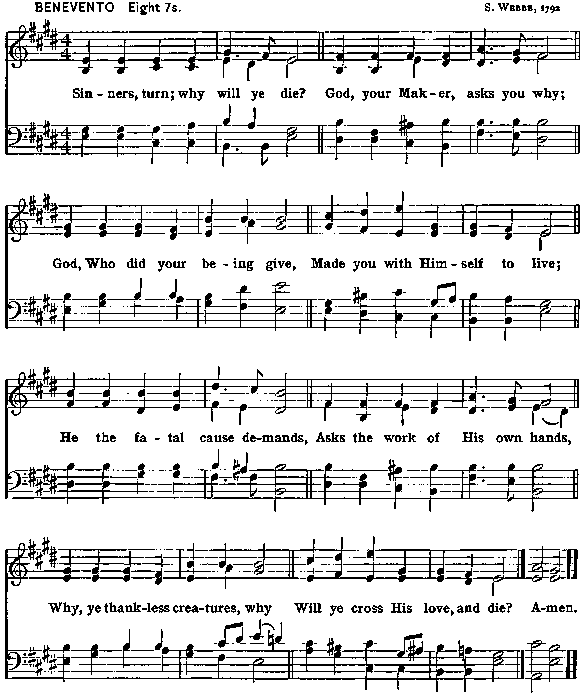 Why, ye ransomed sinners, why Will you slight His grace, and die?